This post contains affiliate links. View my disclaimer page for more information. 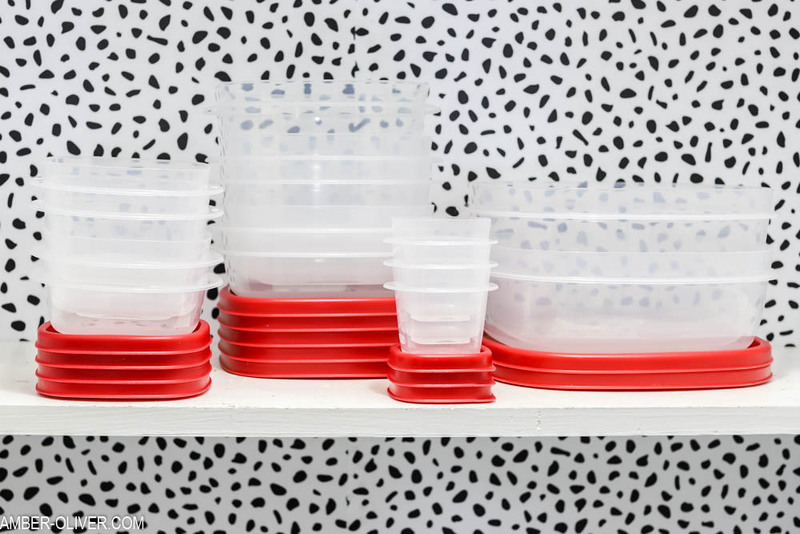 This post is sponsored by Rubbermaid®; however, all thoughts and opinions are my own. 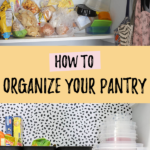 Learn how to organize a pantry in 4 simple steps! You know what doesn’t bring me joy? Trying to find the lids to my storage containers in the kitchen. I’m convinced that every time a sock goes missing from the dryer, it comes back as a random lid in the pantry! Our pantry became a haphazard landing zone for food, storage containers, and even some cleaning supplies. It was time to get it under control! 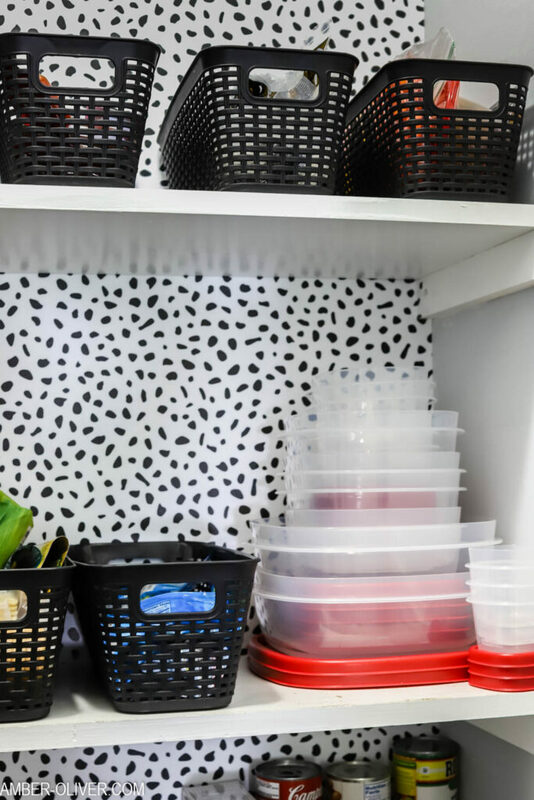 I found some pretty cool products to help with pantry organization so below I’m sharing how to organize a pantry using Rubbermaid® Easy Find Lids™! There’s also a chance to enter to win a pantry makeover valued at $5000! It’s not hard to let the pantry get a little out of hand. When is the last time you did a good purge? Time for some spring cleaning! Let’s get rid of anything that is expired or is in an open package (it’s probably stale now anyway!) This is also a good time to do a good purge of those unhealthy items that keep temping you! 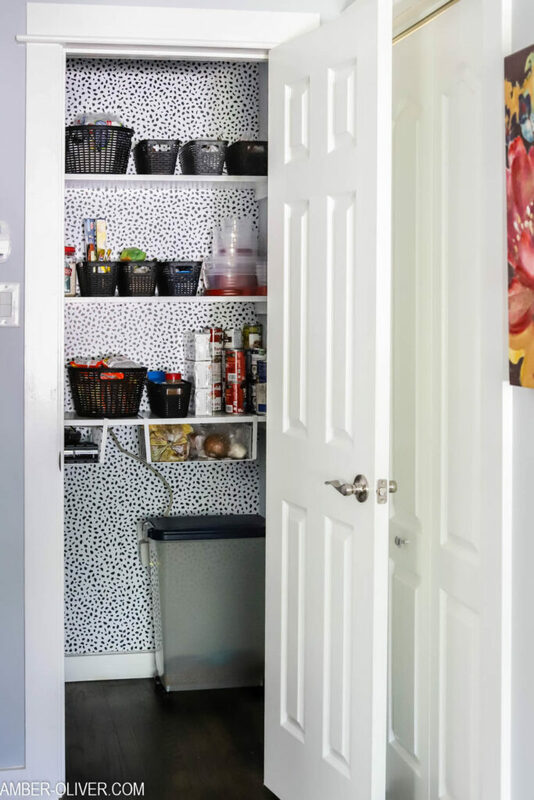 The pantry isn’t really a public area of your home, but since you look at it each day, why not make it special? Having a cute place that you put time and effort into creating and organizing should motivate you to maintain it! 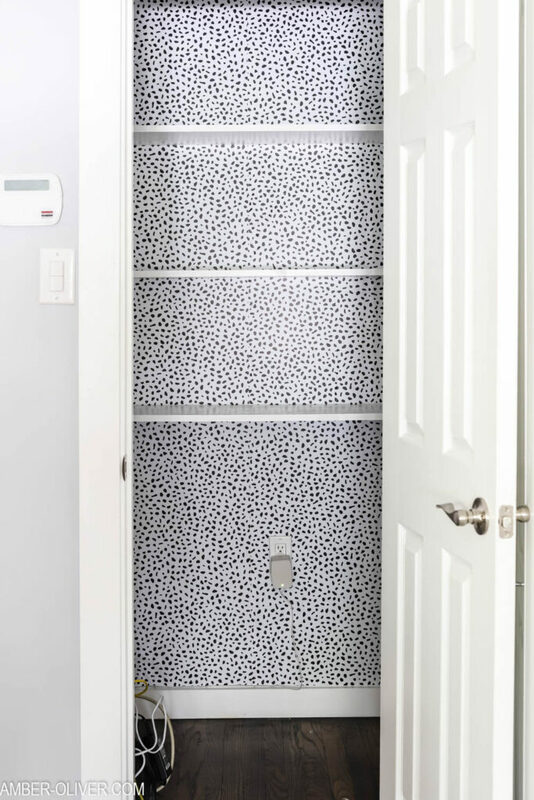 Put up a peel and stick wallpaper or stencil a design on the walls to add your personal touch! 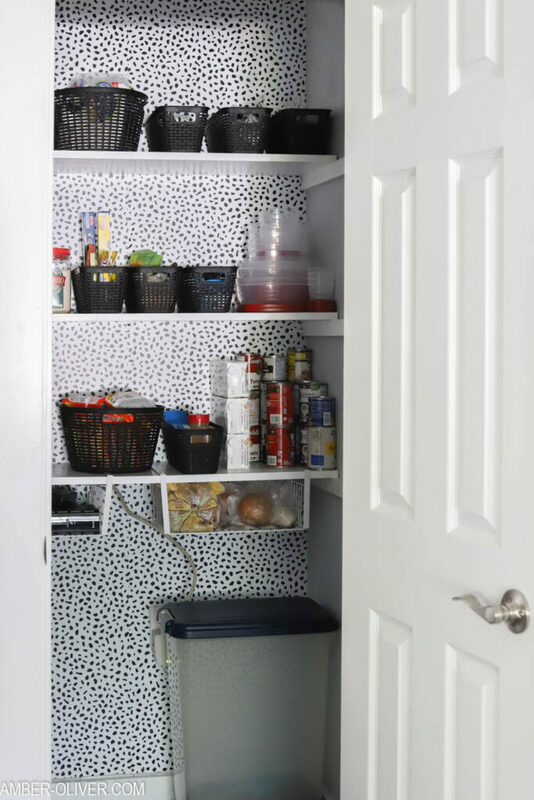 I added wallpaper from Target and transformed my pantry with one roll! Click here to shop for this black and white peel and stick wallpaper! Click here for a Peel and Stick Wallpaper tutorial! 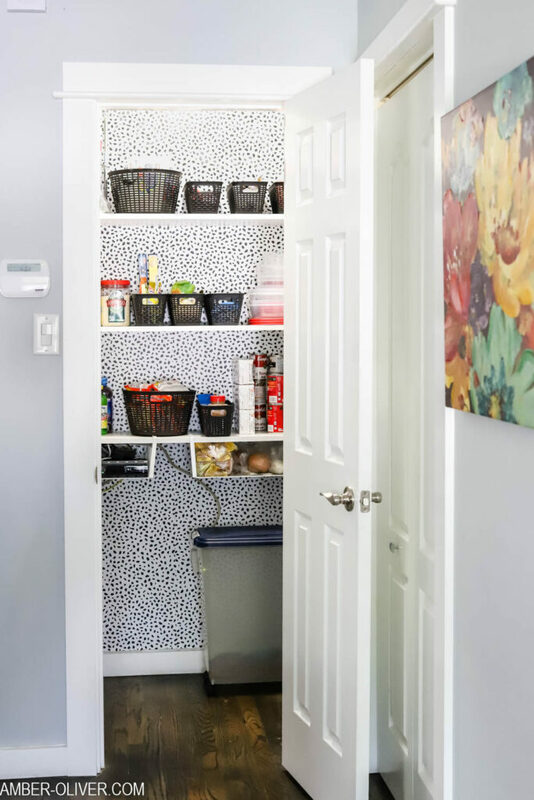 Giving everything in your pantry a “home” is the easiest way to ensure it stays organized. Baskets work great for loose food items. This is also a good time to purge those storage containers. Get rid of any that are missing the lid or are stained. Rubbermaid® Easy Find Lids™ will make your life SO MUCH EASIER. The lids snap together then snap to the base of the containers! 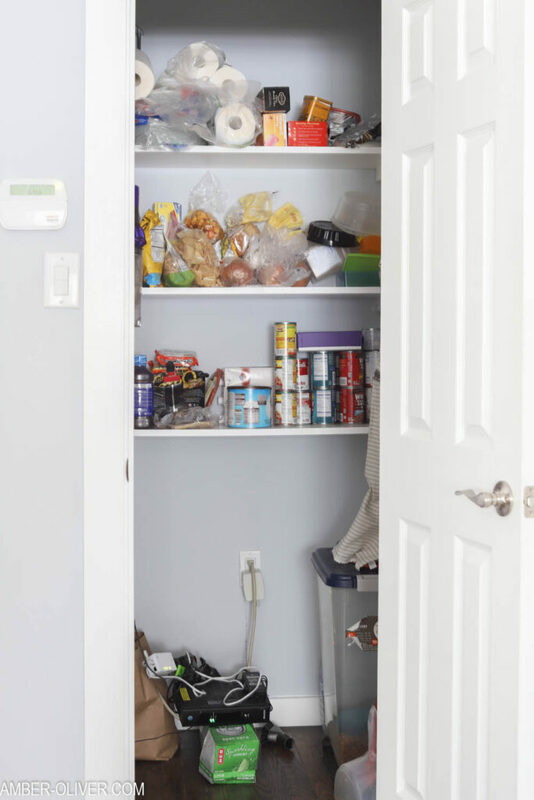 Less lost lids AND this is a compact storage solution for your pantry! They are available at most major retailers. Top shelf: paper towels, plastic bags, disposable utensils on one side then baskets with tea, popcorn, and condiments are on the other end. 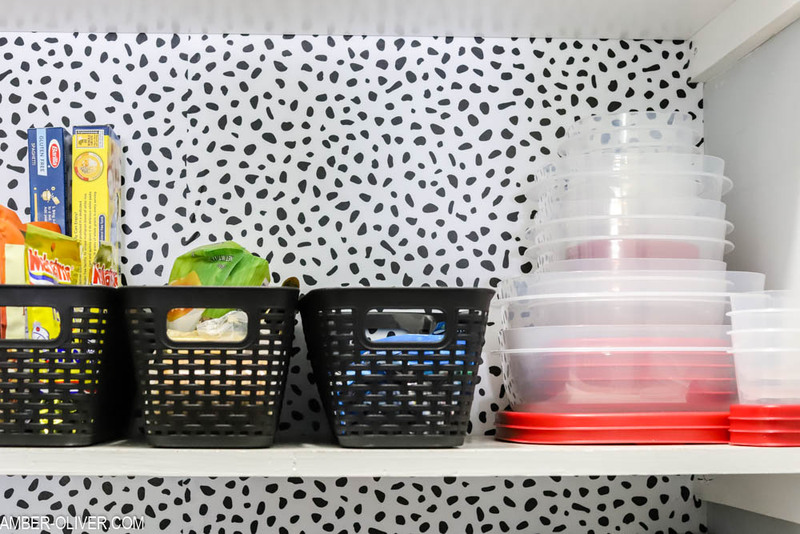 Middle shelf: boxes of rice, crackers, noodles are together then a basket with noodle and rice packets, a basket for crackers, and a basket for fruit snacks, then all our Rubbermaid® Easy Find Lids™ and containers. Bottom shelf: Salad dressings, sauces, and juices then a basket for soup packages, a smaller basket for breakfast necessities, and then all the canned goods. Bonus shelves! I added these baskets for extra storage: one has our internet router and the other holds bread and fresh items like onions and garlic.